Good news, Master System fans! Funimation has licensed the 80s anime Zillion! 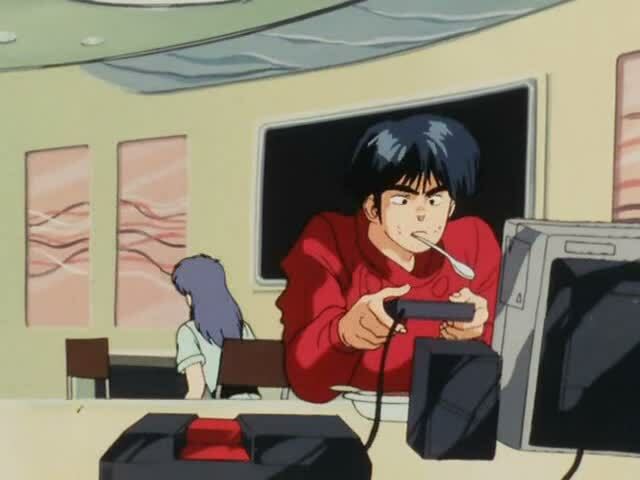 Zillion is a 1987 sci-fi anime from Tatsunoku Productions than ran for 31 episodes. It centers around White Knight J.J. and his fellow White Knights Apple and Champ as they defend the earth colony Maris from the evil Nozas, an alien race intent on wiping humans off the face of the planet. The White Knights battle the forces of evil with their signature weapon, the Zillion Weapon System, a Master System light gun (complete with the cord) capable of destroying the Nozas, who are otherwise invulnerable to human weaponry. Westerners know Zillion best from the SEGA Master System games, as well as the five episodes of the anime and OVA Zillion: Burning Night which received dubbed VHS releases in the early 90s, as well as a short run of comics from the publisher Eternity (who also published comics based on Full Moon Features’ Puppet Master franchise). The series is loaded with Master System references and cameos from our favorite sentient space ship Opa Opa. If you’d like to learn more about Opa Opa’s appearances in the anime, you can check out our article here. Funimation is planning for an October DVD release of the series, English-subtitled. No word on the OVA. We’ll be sure to share more as we hear it! I’ve been waiting for this to come out on dvd for so long, I had a chance to watch a couple of episodes and it’s reminiscent of Robotech somewhat.